Life is so rushed these days – I have been spending almost all last month at the hospital (mom is unwell) – I have been juggling time between work, taking care of my mom, cooking and all the other essential peripheral things life cannot run without. And obviously I’ve been wishing there was some way I could stretch the day some more, apart from wishing my mom would get well soon enough to limit our visits to the hospital to at least once in two weeks. Of late, practically everything has become urgent. I used to check email at least 3-4 times a day, because I need to, in my work – but these days, that has petered down to once a day. And naturally, that To Do list is growing and growing like Hanuman’s tail! Prioritizing stuff is become more of a challenge as I simply cannot strike some things out or postpone them. 1. I have limited the time people can call me up at work – I have two areas of work – while the communication for one can more or less be managed via email, the other essentially needs regular human interaction. These guys would call me on either of my mobiles and if neither were answered, go ahead and call the land line. I have now strictly limited this to 11 am to 2 pm. After which it will be emails that can be answered within 24 hours. A week down the line, I feel stupid, thinking why did I not do this before? Uh, better late than never. At least I can add salt to the rasam or sambar in peace and avoid burning the dosa or roti!! – you get the idea? Stop snickering!! Doing this seriously helps focus my mind and body on the particular task – at the time set for it. It not only helps to finish the item at that time – even better, it is thrilling to put that ‘check’ mark on it! If someone is clamoring for my attention – hey, I just say I’ve got a prior appointment. Okay, so what if it is with my nailcutter, eh? Fact: I do have an appointment with myself to cut my nails! I realized it is important not to let anything else interfere with the task at hand – because – in my current situation, there’s a pretty good chance I’ll never get it done if I get interrupted. There are times I even set an alarm for each hour just to keep track! A lot of people have laughed at me – but you know what? We all think we will remember it if it is important enough, and even scoff at writing it down – but then – in reality, things always happen and there’s every chance one may forget that specific thing simply because it is not written down. It is important to schedule everything if it has to get done – no matter how silly it might be. So – try making an appointment with yourself – and see the difference. 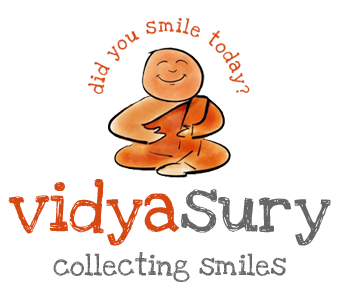 The chip off the old block – Vidur – is also doing it – cheerfully and with success! So what if ‘order pizza at 6.55’ is on his list? It’s fun! I hope your mom is doing better, Vidya. Nice title to the post. I have a time table for my study schedule, which is rarely followed. But having a time table helps in reminding me of things to be done at least, whether or not the order is followed. 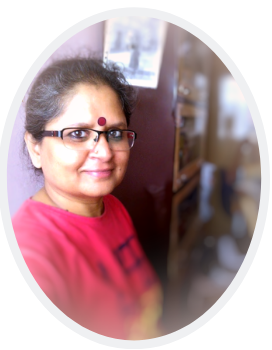 @ Sumit – Thanks for the wish for my mom! By the way – that presentation on your blog was COOL.